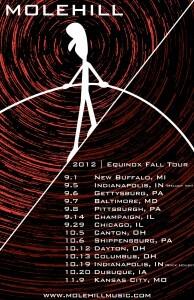 We are touring this Fall in support of ‘Equinox’ and we could use some help getting the word out there. 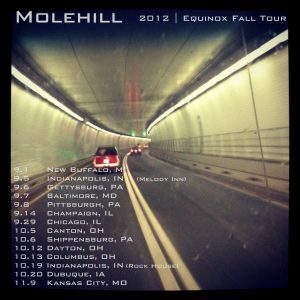 Here are some ways you can spread the word and get some free Molehill media and schwag! 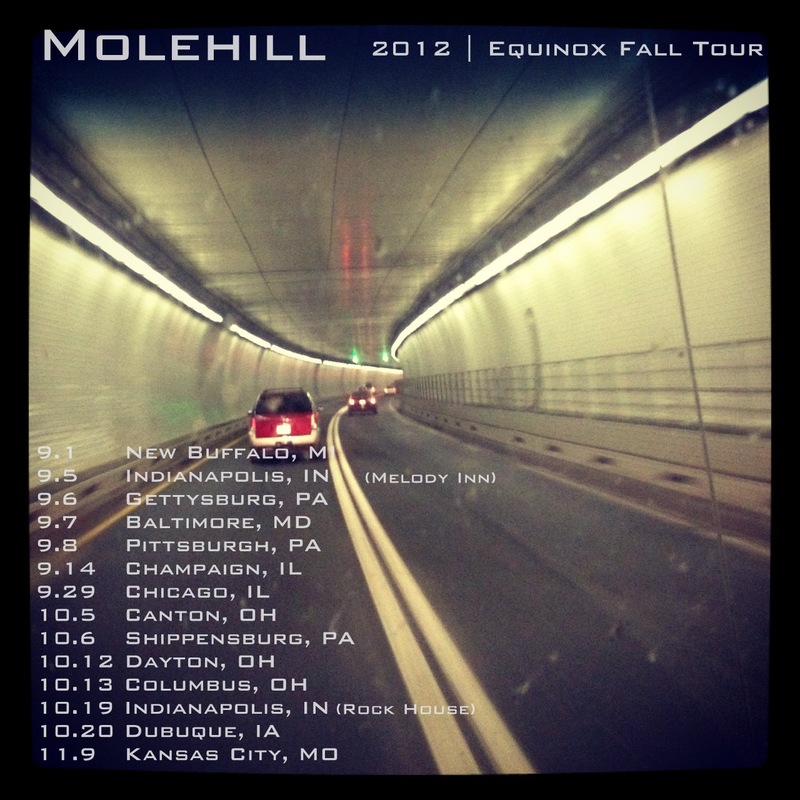 If you tag Molehill on Facebook and let your friends and followers know about our tour and/or music we’ll send you a link to a free download from ‘Equinox’ … For a free song tag us us on Twitter use #molehilltour in addition to @molehillmusic … while you’re at it tag @rollingstone, @nme, @pitchforkmedia or some other music entity that you think should know about us. If you do any of the above and then attend a show on this tour we will give you a signed poster (below) as a thank you from us. 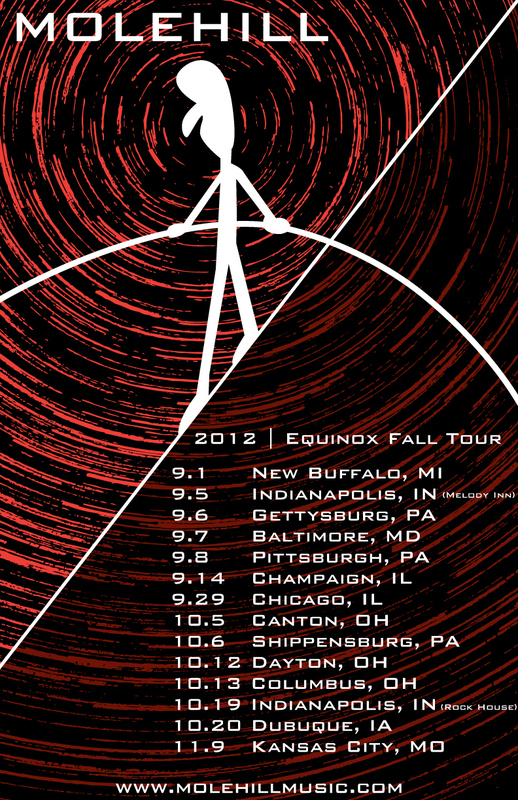 Just come up and say hi at the merch table and let us know that you helped us promote this tour. Greg will be giving away kisses as well.